“Take up running,” they said. “You don’t need any special gear,” they said. Well…yes, that’s technically true. But a little bit of retail therapy now and again can do more than make you happy. The right running gear can make you more comfortable, more motivated, and even help improve your training and performance. 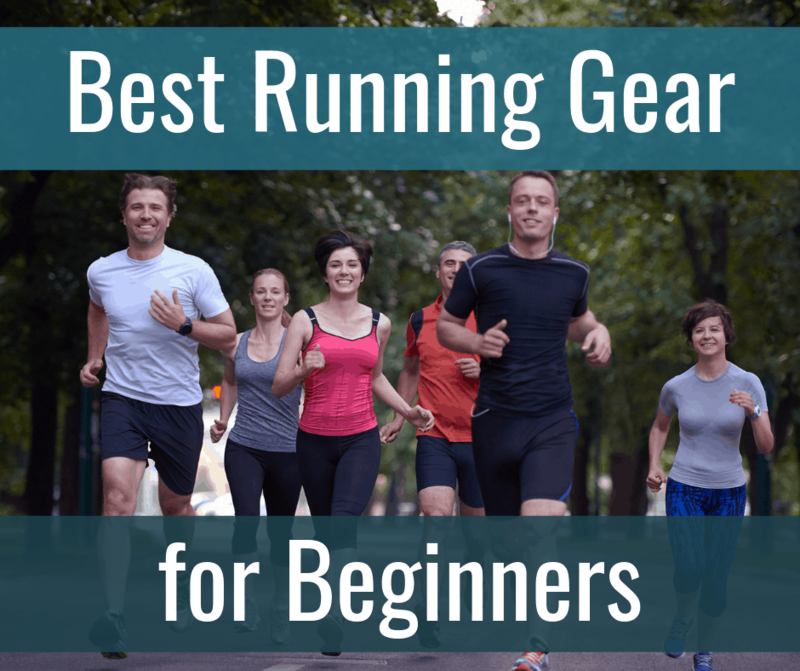 If you’re just getting into running, you’re probably wondering (as I did) what kind of gear to get. Even though I didn’t know what exactly to get, I knew that I wanted to purchase products that would be high-quality. 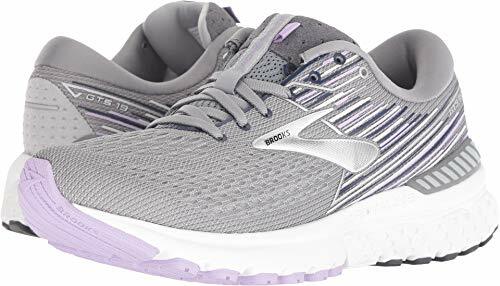 Thanks to helpful articles on this website and Runner’s World, and some friends who are runners, I was able to purchase shoes, clothes, and gadgets that I’ve been very pleased with. We’ll take you step-by-step through the essential gear that you’ll need as a new runner. Each section will cover not only why that particular item is important, but also some things to consider when purchasing that item. It goes without saying that this is the most important category. Even if you don’t have a lot of extra money here, this is where you want to make sure that you’re getting a high-quality product, even if that means spending a little bit more money than you’d like. Your best bet in getting good running shoes is going to a local running store, where an expert will look at your foot, gait, and biomechanics and suggest the best shoe for you. There are many, many options to choose from, from style to how the shoes take care of your feet. The choices might seem overwhelming at first, but all of those options will allow you to tailor shoe choice to your exact needs. Even though you’ll probably end up spending a little bit more, many running shops have excellent return policies, because they want to make sure that you get a product that works. If you can’t make it to your local running store, we have a great guide for choosing running shoes. Being willing to take the time and spend the money to get a good running shoe will help make your runs more enjoyable and maybe even prevent injuries. When shopping for a pair of running shoes, it can be daunting to figure out what you need when there are so many brands and models to choose from. Running shoes come in different categories such as neutral, guidance, stability, motion control, and minimalist. Shoes in these categories also come with various amounts of cushioning. Some running shoes are designed for wearing on roads; others are made for trails. To figure out what shoes to buy, it’s important to know yourself and what you need! The more you know about your foot, gait, and purpose for the running shoes, the more you’ll be able to home in on the right shoe for you. Try on a couple of different options to see what is going to be the best fit, and be willing to make adjustments as needed. Don’t limit yourself to certain brands because they’re either all you know or you’ve never heard of them. All the major running shoe brands make high-quality running shoes that will last for 300-500 miles. 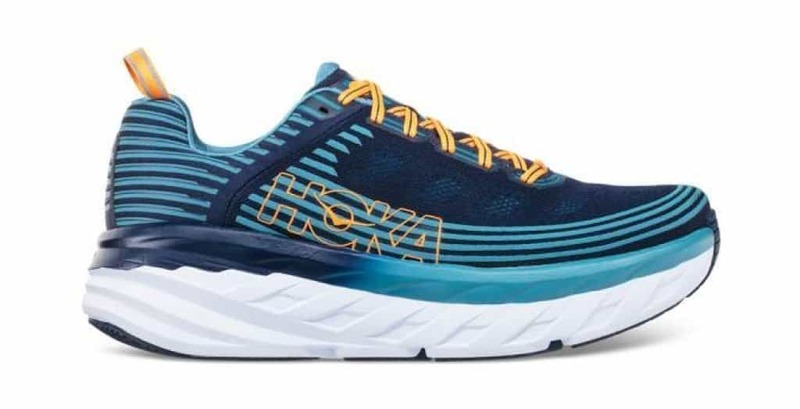 While some brands like Hoka One One, which specializes in cushioning, have unique qualities. Most running shoes offer similar levels of support and cushioning – the difference is how they fit. Brooks running shoes tend to have wide toe boxes. While Nike shoes run narrow. ASICS fit snugly in the heel. What you prefer will vary. It doesn’t matter if everyone in the running community likes a particular shoe. If it doesn’t feel right to you, it isn’t a good fit. Remember, the gear is supposed to meet your specific needs. Let’s review in more detail to help you figure out what type of running shoe is right for you. If you don’t need any additional support or control, you’ll want to purchase neutral running shoes, which are your standard shoes for runners. With some brands and models, they still may provide a little bit of support, but they aren’t going to alter your stride as a runner. By contrast, if you overpronate, meaning that there is an excessive inward rolling of the foot after striking the ground, and/or you have low or flat arches, you likely will want stability shoes. These are stiffer than neutral running shoes. A similar category is guidance shoes, which also provide support, but typically not as much. If you’re more adventurous, you might prefer minimal or barefoot running shoes, which typically have very little cushioning, structure, or support, in order to mimic running barefoot. A little light protection from the ground keeps you safe, though. Finally, if you need a substantial amount of support and stability, you’ll likely need motion control running shoes. They are heavy shoes for runners who need lots of support, as the shoes do not allow any movement inward or outward when you run. More cushioning is not always better, as there are additional materials in the shoe to make it more comfortable. While that sounds good from one perspective, it’s not from another. You can lose some muscle in your feet the more you wear cushioned shoes, and you also lose road-feel, or feeling the ground under your feet. A standard running shoe will give you plenty of cushion while still providing road feel and responsiveness, making them a bit snappier. You’ll get the benefit of cushioning—protection—without any disadvantages. Lighter running shoes will provide more responsiveness, but also less cushioning, and therefore less protection on the road. You’ll need good form to avoid injuries. Extremely minimal shoes, such as barefoot shoes, have basically no cushioning, and you’ll need excellent running form to avoid injury with these. If you’re wondering how much cushioning you need in your shoes, the answer might be both standard and lighter running shoes. The reason why is because standard shoes are great as everyday trainers while lighter (but not minimal!) shoes are excellent choices for speed work and races. But don’t worry too much about this as a beginner! You will likely do just fine with a pair of standard running shoes with adequate cushioning. As a final consideration, you need to know where you’re going to be running. If you’re normally going to be running on a treadmill or pavement, you want road shoes. If you’re going to be running on trails and gravel, trail shoes will be a better option. As the names suggest, road shoes provide cushioning and support to protect your feet from hard road surfaces, while trail shoes emphasize durability and traction on dirt, mud, and rock. If you want to run both on roads and trails, it’s ideal to have a shoe for each type of run. However, that can get a little expensive, so look into general shoes that can work for both surfaces. Comfortable shirts and tanks are essential in making sure that your clothing isn’t impeding your runs. Since you’ll be doing a lot of sweating, you’ll want to find shirts and tanks that are light and breathable, wick sweat from your skin and allow it to evaporate, and help to prevent chafing. Although you probably have lots of cotton t-shirts in your closet, resist the urge to wear them when you run. Instead, invest in a couple shirts made of technical fabrics. As someone who hasn’t really exercised much in her life, I started training for my half-marathon with one pair of leggings that I purchased to work out with a friend one time (yes, literally one time!) and cotton t-shirts. Believe me. Your body will thank you so much when you upgrade to a technical fabric. Mine definitely did when I purchased an Under Armour tank, and I can’t imagine going back to a cotton shirt ever again. As I mentioned above briefly, you’ll want technical fabric to wick sweat. When you run, the fabrics will pull the moisture away from your skin to the outer surface, allowing the moisture to evaporate and keeping you dry and comfortable. In addition, technical fabrics can help regulate your body temperature by dispersing heat when you’re training during hot weather and retaining it during cold weather. 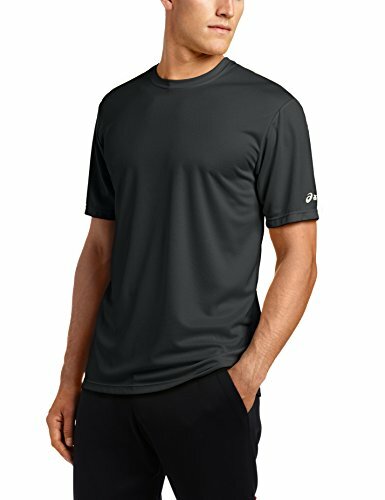 You should be looking for a shirt or tank made from nylon, or brand names like Climalite, Coolmax, or Dri-Fit as well as double-checking that it feels cool, light, and comfortable against your skin. Obviously, you’ll need to adjust your running tops depending on the weather. You’ll need a fairly thin shirt/tank for warm weather, and a thicker one for cold weather. Likewise, don’t forget about the importance of base- and mid-layers in cold weather. Your tech shirt with wicking fabric is likely always going to be your base layer, but you may need to add layers on top, depending on the temperature. Remember not to overdress, though. Once you get going, your extra body heat will make it feel anywhere from 15 to 20 degrees warmer. You don’t want to find yourself in a position where you have too much clothing on! If the temperature is above 55 degrees outside, you probably won’t have any issues running in a t-shirt/tank and shorts. Unless you live in someplace with very long winters, you’ll be running outside in warmer weather for a good portion of the year. Thus, it’s essential to purchase several pairs of shorts that will keep you comfortable during your runs. 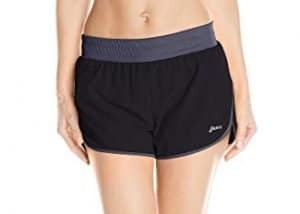 Plus, running shorts often are specifically designed to meet running needs–for example, by having several pockets and being made of breathable fabrics. I started off with one pair of athletic shorts when I started training for my half. Nothing fancy, just a pair of shorts that dried quickly. But when I upgraded to a better pair of shorts, man could I feel a difference. My runs felt significantly more comfortable, and I had a place to put my keys and my Gatorade chews. And I can’t even tell I have stuff in my pocket when I run! You’ll want to look for shorts that are made of lightweight, breathable fabrics that don’t weigh you down. In addition, you’ll want to make sure that the fabric is designed to avoid chafing, as that’s obviously the last thing you want during your run. Finally, you’ll likely want to find shorts with reflective details as well as a pocket or two. Like shirts/tanks, you’ll want the shorts to be made of technical fabric that wicks sweat. This will help the shorts dry quickly, and prevent them from sticking to you. You’ll likely want to ensure that the built-in compression shorts or mesh-liner is like the rest of the shorts: breathable and quick-drying. 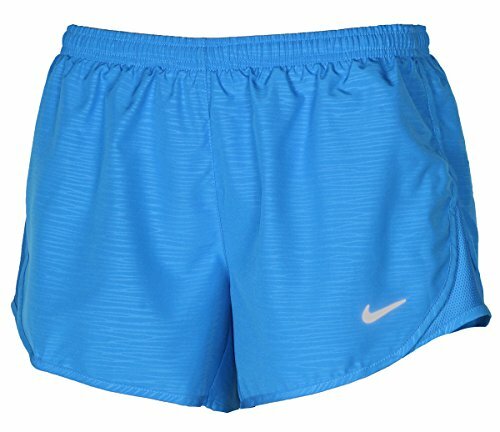 If you’ve never bought running shorts, you might be wondering what kind of inseam to get. Experts recommend that the shorter the short (and the shorter the inseam), the more fast-paced your activity should be. Thus, your running shorts should be on the shorter, rather than longer, end. Avoid longer shorts because they will get in the way of your running and can lead to unnecessary chafing. Depending on your gender, height, and level of comfort with shorter shorts, you probably want shorts with an inseam of 2-4 inches. My Under Armour shorts have an inseam of 2 inches and an inseam of 5 inches for the compression liner, and that’s perfect for me as a 5’4” female. The most popular men’s inseam length is 5 inches. The shorter shorts – 2-3 inches – are usually worn by very fast and very thin men! Longer shorts are better if you’re more modest. Nobody likes to run with stuff in their hands, so you’ll definitely want shorts with pockets. But not all pockets are created equal: look for ones that are going to keep your items secure. Just as annoying as carrying your mobile phone in your hands is having it bounce against your leg the whole run while your keys jangle loosely. 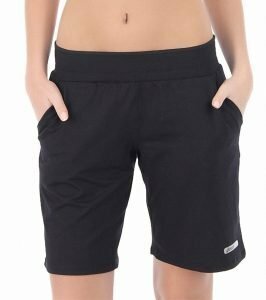 Some shorts have internal key pockets while others have zipper pockets. And some will even have a combo of the two. Just be sure that you have a large enough pocket(s) to fit what you need, whether it’s keys, gels, ID, or phone. Also, consider going to a sports store to try on shorts so that you can see how they feel with items in the pockets. Tights and pants are a great addition to a runner’s gear for three reasons: dealing with the cold, preventing chafing, and providing compression. Thus, they will give you a good alternative (or layering option) to your running shorts. If you’re running year-round, at some point you’re going to have to run in colder weather, meaning that you’ll need several pairs of tights or pants. Additionally, if you’re running to lose weight, you may prefer tights, as they can protect your inner thighs from rubbing together and chafing (and plenty of runners who are not trying to lose weight have this problem as well). Finally, many females opt to use tights year-round because they help improve circulation and performance through their compression. You need to make sure that your tights or pants are made from high-performance stretchy fabrics, such as Nylon or Supplex. You’ll want something that moves with you and isn’t going to be too tight or uncomfortable. Also, don’t forget to make sure that the tights are thick enough for the temperatures you’ll be running in. Your tights are supposed to feel good and look good! As with any other item of clothing for running, you’ll want a technical fabric to draw moisture away from your body. If you choose to wear tights/pants in warmer weather, this will keep you cool, while wicking technology will keep you warm in colder weather. You want to be able to run comfortably, no matter what the outdoor temperature is. You will need to figure out when you expect to use your running tights. If you’re looking to provide some additional coverage from the cold or have flexibility to wear them during a cooler day in the summer, you’ll probably want to purchase capri-length tights, which normally extend to about mid-calf length. Normally, runners use full-length running tights when it’s colder, and they will often be constructed of heavier-weight material, so they would not be as suitable for a cool day in the summer. Finally, you can even purchase tights that end just above the knee to give you an alternative to shorts in warmer weather. They are usually constructed of lighter-weight fabrics. Just make sure that the length and thickness match your needs. Often, longer tights will be thicker, and shorter tights will be thinner to suit the likely running conditions. Although you’ll almost always have pockets with running shorts, leggings can be hit-or-miss regarding pockets. Some pairs come with pockets built into the waistband, some have thigh pockets, and yet others have both. Or neither. You’ll need to decide how many pockets you need (if any) for your leggings. If you’re wearing them under your running shorts when it gets cold, you probably won’t have to worry about finding ones with comfortable pockets. Jackets are important because you’ll need them to keep your core warm in winter. But they have to be designed well so that they keep the elements out without trapping in too much heat. Purchasing a good cold weather jacket will motivate to go for a run even when it’s extremely brisk outside! The main thing you want to consider when buying a jacket is how well it keeps out the elements without making you swelter inside it. You’ll likely want to look for something with a wind- and water-resistant layer that is going to move and breathe easily. Plus, you might want the option of using thumbhole cuffs to cover your hands if it’s really cold outside. Although I feel like a broken record, make sure you purchase a jacket that is made of synthetic materials so that it will wick sweat, keeping warm in the cold weather. Your jacket should be as unnoticeable as your shirt. In other words, you shouldn’t feel that it’s warming you up, just that you’re staying at a good temperature. And don’t forget, even though it’s cold, you are still going to sweat! Make sure that sweat evaporates and dries out. Similarly, you need to take into consideration what temperatures you’re likely going to be running in. Layering a jacket with a short-sleeved tech shirt or tank will make you feel comfortable to temperatures around 40 degrees, but you’ll likely need a long-sleeved middle layer or a thicker jacket for temperatures below that. If you have pockets in your running shorts and/or tights, you may not need pockets in your cold weather jacket. But just make sure that you have a location for any necessary items such as a phone, keys, etc., whether you need pockets on your jacket or not. I personally prefer my jacket that doesn’t have any pockets because it’s more comfortable when I run. Does it have reflective detail? Safety is a concern in any season, and with the shortened days of winter, you’ll want a jacket with reflective detail so that motorists can see you a little easier. Most cold weather running jackets, though, are going to have reflective detail just for added safety. If you’re going to be running somewhere that it rains a lot, you might want a jacket with a hood. If you’re the type who doesn’t like getting your hair wet, you’ll probably want a hood. However, if rain doesn’t bother you and/or you plan to wear a hat, you probably will be fine without a hood. Hats are important for a variety of reasons. Perhaps the most obvious benefit is that they keep you cool by evaporating sweat, and very good running hats will let air in through the fabric in order to further cool you down. In addition, they will also protect you from the elements, shielding your face from the sun, wind, and rain, as well as controlling your hair—especially important for women!—and provide an ever-so-slight advantage for aerodynamics. When it comes down to the seconds that matter most in a race, you’ll want to be able to move even just slightly faster! 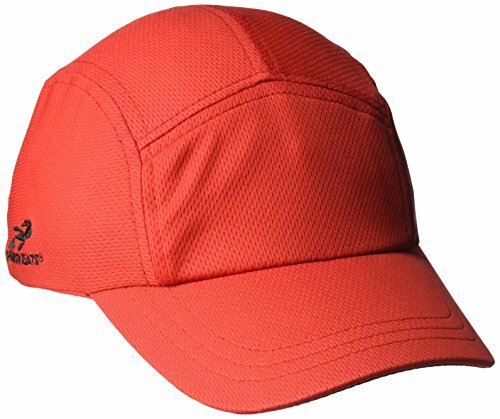 Obviously, for a summer running hat, you want a cap that is going to be light and breathable. In addition, since you’ll likely be out in the sun, you’ll want a hat with SPF protection. You can find hats that are ultra-light as well as very compact, making them easy to carry. Winter running hats are slightly more complicated. Again, you’ll want tech fabric to wick sweat so that it keeps you warm, even when it is damp. In addition, if you’re a female, you’ll want to find a hat with a pony-tail hole or one that’s easy to use with your hair up. It is a bit harder to find a winter hat with a pony-tail hole. Finally, you’ll want to decide what kind of fabric you want for your winter hat: polyester or Merino wool. Polyester hats are less expensive, dry faster, and have a longer lifespan, while Merino wool hats are softer, breathe better, and are odor-resistant. Even though Merino wool has “wool” in the name, it is a common misconception that it is warmer than polyester. The warmth of a garment actually depends on its thickness (fabric density) and fit, so don’t be afraid to purchase either polyester or Merino wool hats for winter running. Keeping the extremities of your body warm is essential to making sure that you maintain a good body temperature as you run. Blood doesn’t circulate as easily to your feet and hands, because they are furthest from the heart. Thus, when it gets cold outside, you’ll want to wear gloves or mittens to ensure that your hands stay warm. You’ll want to consider several factors when thinking about what mittens or gloves to purchase, including comfort and how much you need to use your fingers. You want to make sure that your choice is warm without becoming a furnace. 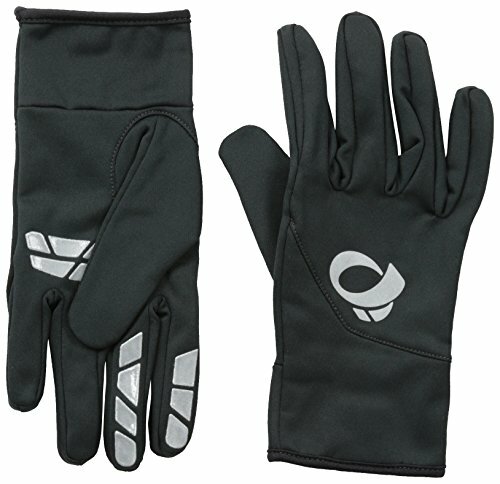 You’ll want gloves thick enough for the cold, without being too thick. You’ll probably be fine with a warm yet lighter and comfortable pair, unless you live in a colder state where you might need thicker and warmer gloves. One runner in Minnesota will use gloves for most days, add wind mittens when it gets into the teens, and wear polar mittens on the coldest days. While the latter keep his hands very warm, they also make them sweat. Nothing is worse than sticky, sweaty hands, and if you use normal gloves to run, tha might be what you get. 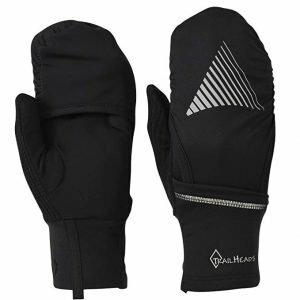 Thus, it’s important to find gloves made of synthetic material that wicks sweat, keeping you warm and dry. Can you use a phone with them? Depending on how much you use your phone during your runs, this may or may not be a concern. If you use it to keep track of your mileage, etc., you may want to purchase gloves that allow you to use a phone with them. Likewise if you like to document your runs with pictures. If you can’t decide whether you should get gloves or mittens, remember that, in general, mittens are warmer (because your fingers are pressed together). On the other hand, gloves are more useful because you can still grab stuff. If you have to have your hand-warmth cake and eat it, too, there are combo options that combine the warmth of mittens with the nimbleness of gloves. As an example, combo mittens with liner gloves are a great option for any cold weather you might face. Although beginners often don’t consider the quality of their socks, having good running socks will really improve your runs. Your feet will stay cooler and drier, and you are far less likely to get blisters. It might seem like an unnecessary expense, but wear running socks on one run, and you’ll never go back to “normal” socks. Because running is focused on the feet, you should make sure that your socks are as high-quality as your shoes. Don’t underestimate the power of several good pairs of socks. It seems weird to spend so much time thinking about socks, but there are a variety of things you should consider before buying. You’ll want socks made of a synthetic material, so your feet aren’t dripping in sweat after your runs. Cushioning and sock height also matter. You should avoid 100-percent cotton socks as a runner, because moisture won’t get wicked away. Step in water or sweat, and your feet will stay damp in cotton. You should find running socks that are a synthetic material like polyester, acrylic, or CoolMax. Remember that you’ll likely need different socks for different types of weather. Polyester/nylon blends are likely going to be cooler for the hotter months, while wool blends like Merino wool and SmartWool are better for winter running. If you want the best fit, you should consider left/right socks, also called “asymmetrical fit” socks. Designed to fit your left and right foot exclusively, the cut, padding and stitching has been designed to complement the unique shape of each foot. 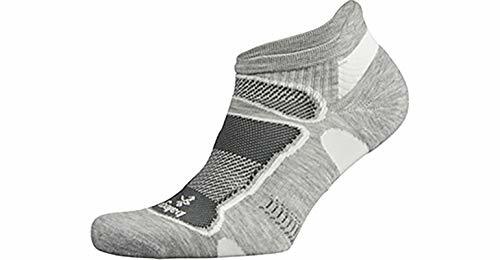 If you’re new to running, you may not need to worry about asymmetrical fit socks, but as you run more, you might want to upgrade to them. Again, depending on how comfortable or warm you want your socks to be, you’ll need to purchase socks with a different amount of cushioning. If you want a light, breathable sock, obviously a thinner sock will be better, while a thicker sock will be better for colder weather. Many runners opt for a no-show sock because they are subtle and don’t show over their shoes. I personally like no-show socks because they are most comfortable for me, especially during warmer weather. If you’re running in the winter, you might want to consider wearing ankle-height or crew socks with your tights so you don’t have any skin exposed to the weather. A running watch or app on your phone, while not an absolute necessity, can be a valuable tool for developing as a runner. You can track data such as pace and heart rate not just run by run, but over time as well. It can also help you coach yourself toward good running habits, such as running negative splits (gradually increasing your pace over the course of a run), and making sure you are mixing hard and easy training days. If you want to truly improve and get faster, you will need a watch or app to measure your progress. Plus, looking at data from your runs can be a huge source of motivation, as you’ll see how far you’ve come. It will also help you make real and achievable goals for the future. I personally love analyzing data from my runs so that I can do just a little better each time I run. Finally, you can use a watch in order to measure run/walk intervals, or to do speed work. And you may want to have your phone so that you can use it for emergencies, or to listen to music or podcasts to make your runs more interesting. At the same time, remember that you shouldn’t spend too much time on the numbers. Take the time to enjoy your runs so that your mind and body can relax. You should run in a way that makes you happy and joyful, so you’ll want to keep doing it. Every so often, you should leave your watch at home and run at a pace comfortable to you. Or, you could be like me and just look at your watch after it buzzes at each mile. Then you’ll get the benefit of running at a pace comfortable to you while still getting some data. How serious of a runner do you plan to be? Something like a Fitbit may be just fine if you want to track your data, but you’ll need a running-specific watch if you want to track your runs via GPS, have heart-rate information, track your pace, and so forth. At the end of the day, all you need is a device that has a start/stop button in order to record how long it took you to run x number of miles. If you don’t want to spend any money, there are many free phone apps available to you. Just find the one that you like best. When I was training for two 5ks, I used the MapMyRun app, which used the GPS in my phone to track my run. I could check my pace and distance as I ran. I upgraded to a FitBit a couple years later, and I liked getting information such as heart rate, and not having to run with my phone, as the data in the FitBit would sync to my phone once I got home. 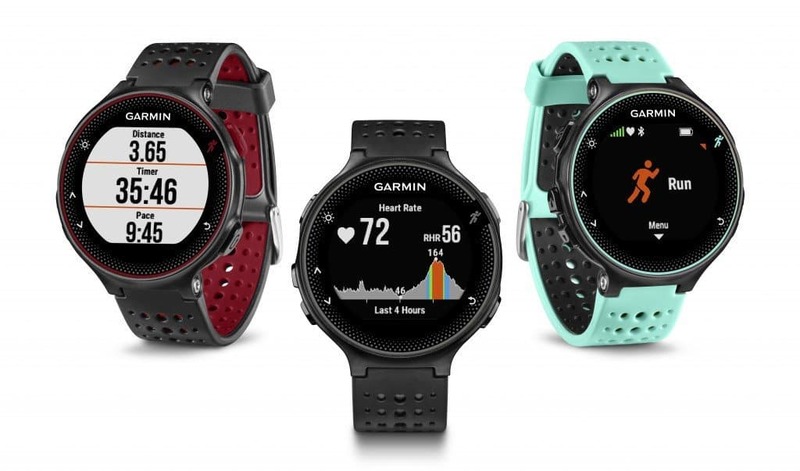 If you want a more serious watch, or want to become a more serious runner, you should look into watches that will use GPS to track your distance and give you more extensive workout options, such as intervals, run/walk, and specific-pace runs. A watch with a heart rate monitor can also be extremely helpful. 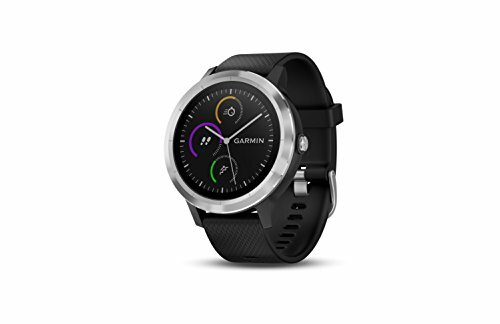 After my research and talking to several of my friends who are runners, I decided to purchase the Garmin Forerunner 235. Once I got it, I will never go back to my previous time-tracking methods. I love being able to track my heart rate, my estimated cadence, elevation gain/loss, my route, pace, and so forth. It’s given me a lot of information about how I can best improve my running, and I’ve seen significant strides in just a few short months. Plus, it helps me feel like a real runner! As a side note, don’t forget to purchase a screen protector for your watch. It’s only a couple dollars, but it will give you so much peace of mind so that you don’t scratch up your watch. I also found that the screen protector for my watch also helped me see the watch screen even better, which was great. If you’re a guy, obviously you can ignore this section, but every female knows that a good sports bra is essential for comfort. You’ll want to make sure that you feel at ease and can run without any difficulties. A good sports bra is just as important as a good tech shirt or good running shoes. 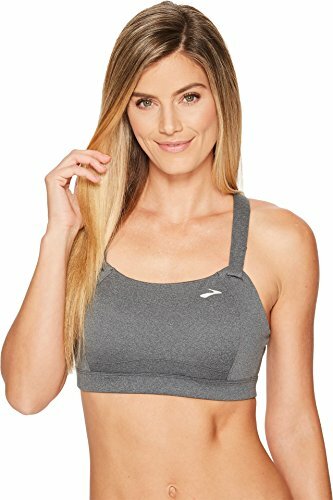 Make sure that you select a sports bra that is specifically designed for running and other high-impact activities. When you try it on, you need to test it by jumping up and down and running in place. Does it still feel comfortable? Then it’s likely a good choice for you. Depending on your bust size, you might need to purchase a different type of sports bra. If you’re an A or B cup, a standard compression bra will likely provide enough support for you. By contrast, if you have a C up or higher, you’ll likely need more support features, which you’ll find in an encapsulation or encapsulated/compression bra. Obviously, you’ll want a sports bra with the proper fit. You might be able to tell immediately by feel, but also consider these three signs of a correct fit. The bottom band should support most of the weight, so if the band feels supportive, you should be good. Snug is fine, but you need to be able to take a deep breath. The cups should be smooth, as this indicates that the cup size is just right. If they are wrinkled or puckered, it likely means that the bra is too large. The straps need to be taut and secure. They should not be digging into your shoulders – that likely means the band is too loose and you may need a smaller size. Similarly, if the straps are falling off your shoulders, then the bra is too big. As a final note, you will need to make sure that you’re replacing your sports bras on a regular basis. Just as running shoes only last 300-500 miles before their cushioning fails, your sports bra is going to lose its elasticity and needs to be replaced once a year. If you want a precise number, most sports bras should be replaced after 72 washes, which could be less than a year, depending on much you wash your sports bra. Additionally, if you lose elasticity earlier than the end of the year, or if your weight changes significantly, you’ll need to find a new sports bra.